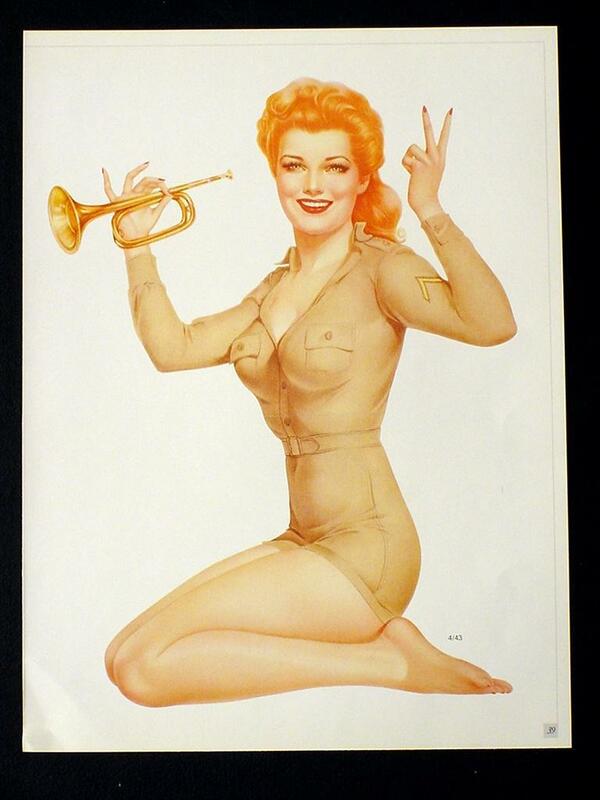 Home » Collectibles » Paper » Pin Up » Vintage (Pre-1970) » Vargas 2-Sided Print 1943 Pin-up Girls ARMY BUGLER & OPPS! Mistake Missing Arm! Vargas 2-Sided Print 1943 Pin-up Girls ARMY BUGLER & OPPS! Mistake Missing Arm!